Temperatures are definitely starting to cool and Winter is just on the horizon. Sweater weather is in full effect! Turtlenecks, scarves, booties and the like are becoming my go-to pieces to keep warm during this time of year. A great sweater is a must-have in your Fall wardrobe because of how versatile it is. Never underestimate a black turtleneck. Although simple, it’s almost like an LBD in that it is a great basic to wear on its own, layer or style however you’d like to. 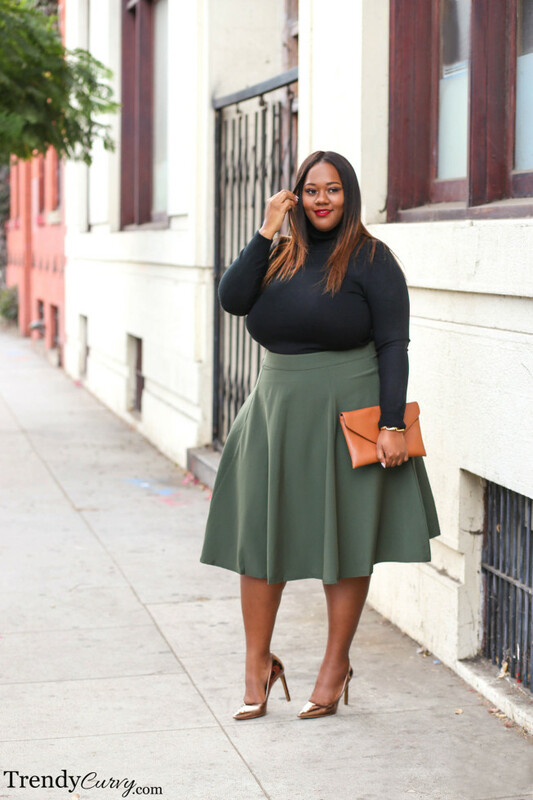 I decided to pair my sweater with a olive green midi skirt. I absolutely love midis and this color is the quintessential embodiment of Fall. 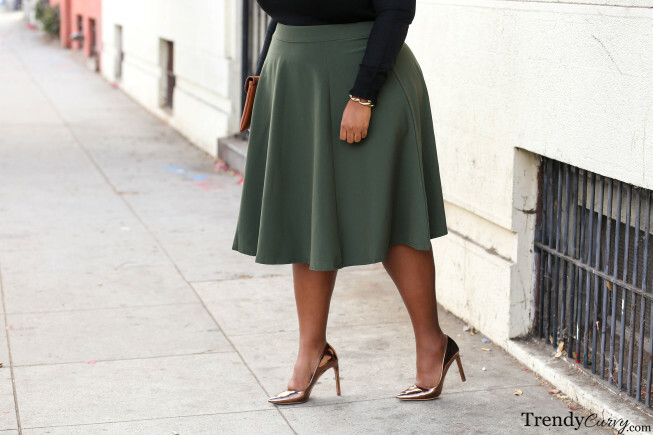 Modcloth has hands down the best selection of midi skirts and this was the perfect piece to go with this look. There was not much more that I needed to add to the outfit so I went with metallic bronze pumps and a brown clutch. Easy, stylish and timeless! I love a great midi & you always look amazing in them. I eed this one too! You’re wearing one of my fave color palletes – black and army green. I wore the same one today, ha! OMG! love the skirt! looks so comfortable! Love the color of it also. The top looks very soft and perfect to wear on a cold day with a cup of coco.